2 What are the benefits of a recurve bow? 3 What To Consider When Looking For The Best Recurve Bow? 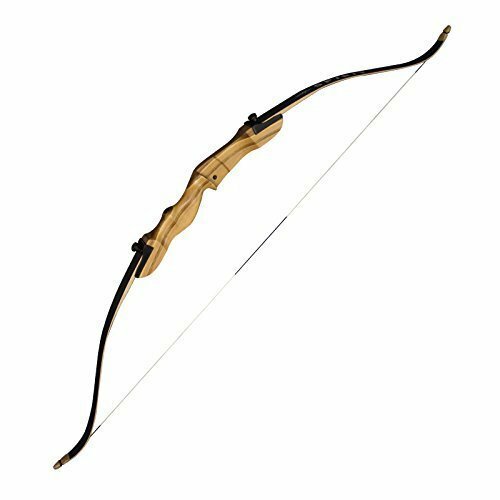 3.1 What Prices to Expect for a Recurve Bow? 3.2 Is Your Bow for Hunting or Target Practice? 3.3 What Draw Weight Is Right For You? At first, glance, choosing a recurve bow for purchase can be an intimidating task. Whether you plan on using your bow for hunting or target shooting, you want to make a smart financial decision and buy a good quality bow, which can seem like quite an overwhelming decision. This guide will assist you in learning more about the recurve bows available to choose from. Hopefully, this list will help you narrow down your options and pick the right recurve bow for you and your needs. 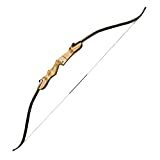 It will also provide you with useful information about the benefits of using a recurve bow and the price ranges you can expect for this product. Additionally, it will name some important things you should consider when choosing a recurve bow, such as whether you will use it primarily for hunting or target practice and what draw weight you should choose. And finally, it will define just what exactly the risers and the limbs of a bow are. The riser on this bow is made of three different kinds of laminated wood, and the limbs are made of Hard Rock maple and laminated with fiberglass, providing a durable bow that will last for many hunting or archery range trips. The tips of the limbs are also phenolic reinforced, guaranteeing that the bow will not deteriorate quickly. The bow also comes with an arrow rest and B-50 bow string. Positive reviews praised the easy set-up and take-down of the Samick Sage, as well as how easy it was to transport when taken apart. They also generally agreed that the Samick is a great bow for beginning archers. Negative reviews mentioned that the limb screws may be misaligned, resulting in difficulty fitting the limbs and riser together. A few also pointed out that the bow is rather loud and would probably need a silencer if used for hunting. This bow features a comfortable Thermal grip, which will both keep your hands warm while shooting outside and prevent them from getting tired too soon. An aluminum and magnesium riser provides both durability and lightness to the bow. The camouflage pattern on the riser also appeals to outdoorsy adventurers. The Martin Jaguar’s design makes it easy to disassemble when you are done for the day, with only two screws to undo. This bow also comes with an arrow rest and owner’s manual. Most positive reviews agreed that the Martin Jaguar was both easy to assemble and very portable when disassembled. They also pointed out the quality of the metal riser and the attractive camouflage pattern. Negative reviews criticized the flimsy plastic arrow rest and the fact that the instruction manual only consisted of pictures which made it difficult to follow for some users. A few customers also experienced breakage and twisting of the limbs after a few months of use. The Spyder “Sage 2” Takedown Recurve Bow is a redesign of Samick’s previously released Sage bow. This bow features a variety of upgrades on the Samick Sage, most notably rounded edges on the riser and the limb pockets which streamline it into a lighter, less clunky bow. It also features a new, flashy layer of red wood, resulting in an aesthetically pleasing bow you will be happy to display in the house when not in use. Positive reviews were greatly impressed with the craftsmanship of the bow, praising both its beautiful appearance and its accuracy. Other positives included the great value and compactness of the bow. On the negative side, some reviewers complained about the cheap plastic arrow rest that was included. This inexpensive option does not sacrifice quality for a lower price. The riser is made of chuglam, gmelina arborea, and beech, three very durable types of wood. The bow also comes with a 3-year warranty, providing you with peace of mind in case anything goes wrong. The lighter weights available for this bow make it a wonderful choice for younger users or those just starting out. 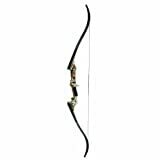 The majority of positive reviews praised the quietness and accuracy of this well constructed bow, as well as its pleasant appearance. Negative reviews complained that the take down bolts strip easily; additionally, some found that the wood was unfinished which means this bow would not be usable in rainy conditions unless the purchaser finishes it themselves. The PSE Razorback is another extremely affordable lightweight bow, making it an ideal choice for beginners and younger users. It is designed to be easy to use and understand, as well as incredibly easy to assemble since it does not require an allen wrench for assembly. It also only weighs 2.2 pounds, making it the lightest and most portable option on this list. Positive reviews agreed that this bow offers good quality for a very low price and is a solid choice for beginning archers. On the other hand, negative reviews mentioned that the fiberglass laminate on the limbs sometimes separates from the wood after a few months. They also pointed out some rough woodwork around the pre-drilled holes for an arrow rest and stabilizer. What are the benefits of a recurve bow? Recurve bows shoot arrows faster than straight bows. The unique shape of recurve bows gives arrows greater energy and shoots them faster than straight bows. Recurve bows actually get their name from their shape: the limbs of the bow curve back inwards at their ends so that the string lies flat against the ends of the limbs. This curve results in greater force when the bow is drawn, and the arrow is released. Recurve bows are highly portable and easy to store. One of the most convenient features of recurve bows is how easily you can take them apart. Both of the limbs separate from the riser, making these bows a smart choice for those with less available storage space. This also makes them highly portable, making them a great option for those who would like to travel with their bow for hunting trips, archery competitions, or just for the occasional trip to the shooting range. More affordable than compound bows. Recurve bows have a much simpler design than compound bows, which feature a system of mechanical pulleys to add force to the string. The basic recurve bow consists only of the riser, the limbs, and the string. While prices can still vary based on the quality of material, recurve bows’ sweet and simple design still makes them a much cheaper option than most compound bows. They offer a traditional archery experience. Use of the recurve bow dates back for centuries, with many crediting its invention to the Mongols, who used it for hunting and warfare. It was also utilized by groups as diverse as the Persians, the Romans, and Native Americans. Recurve bows are often referred to simply as “traditional” bows and are favorites of purists who want to build their skills without using fancy gadgets. Choosing a recurve bow will connect you to an ancient and vibrant tradition of archery! Recurve bows provide an element of challenge. Recurve bows do not come equipped with the sights that compound bows usually have. Therefore, they require more accuracy and more refined technique on the part of the archer. Because of this need for accuracy, they are often used in archery competitions. If you are someone who enjoys competition or pushing yourself to improve, recurve bows are a wonderful buy. What To Consider When Looking For The Best Recurve Bow? What Prices to Expect for a Recurve Bow? 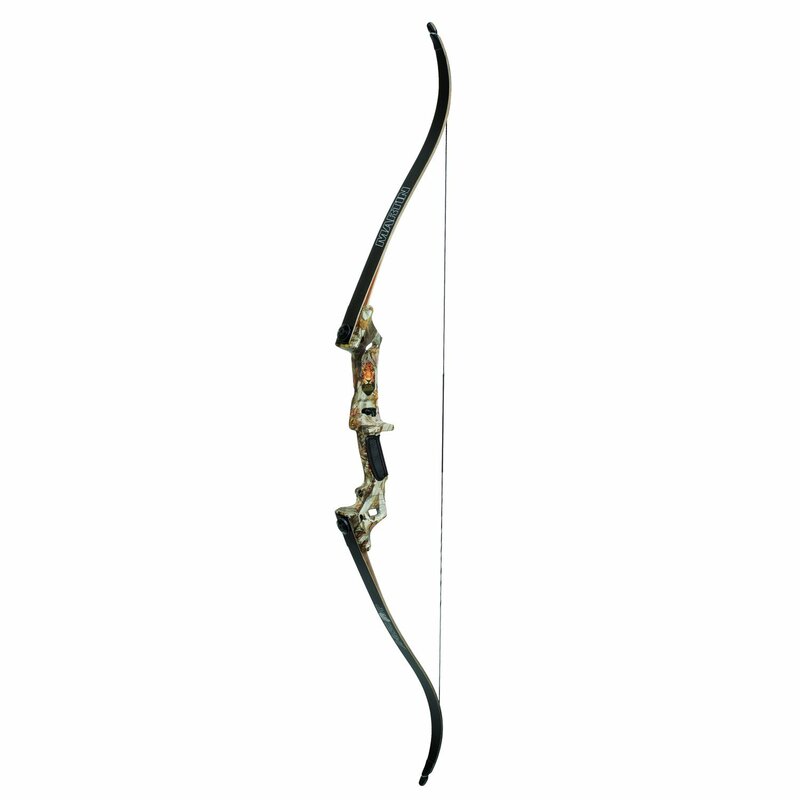 Recurve bows can vary greatly in price range. 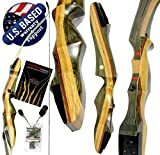 More affordable bows range from 95 – 240 dollars. These options, while cheaper, are still of good quality and are a smart choice for those just starting out with recurve bows. It is also worth mentioning that many people who have been shooting for years still prefer the more affordable bows. 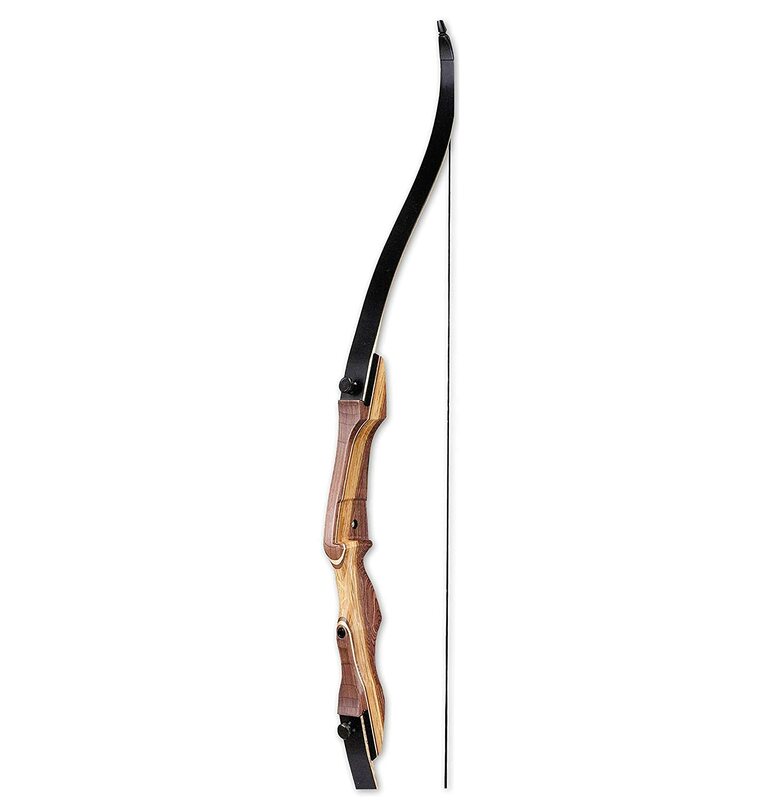 On the other hand, higher end bows can range anywhere from 240 – 540 dollars. This side of the spectrum appeals more to experienced archers or professionals. Is Your Bow for Hunting or Target Practice? Whether you are interested in hunting, target practice, or both, recurve bows are a smart choice for all your archery needs. Recurve bows are the bow of choice for many archery competitions since they require more accuracy on the part of the user than most compound bows. However, the greater need for accuracy with recurve bows also affects them when hunting. While it is very possible to hunt with a recurve bow, it is important to practice often enough that you are able to land a fatal shot on the first try, so the animal does not suffer unnecessarily. Recurve bows are also generally better when used for small game like rabbits, as opposed to large game like deer. Another thing to keep in mind when choosing a recurve bow for hunting is that hunting regulations in most states require that you have a draw weight of 40 pounds or greater. Be sure to check the requirements in your state before making your final decision. The draw weight of a bow is the amount of force stored in it when fully drawn. Draw weight also influences how much strength is required to draw and shoot a bow. When first starting out with a bow, experts recommend that you begin with the lightest draw weight possible. This way you will be able to build up your technique and accuracy without having difficulty drawing the string. One of the benefits of a recurve bow is that instead of needing to buy a whole new bow when you are ready for a greater draw weight, you can just replace the limbs and keep the same riser. Most companies, in addition to selling the riser and limbs together, sell the limbs separately. I would recommend starting with a lighter weight if you are a beginner and advancing to a slightly greater weight when you feel that you have mastered technique on the lighter bow. Another thing to keep in mind when choosing a draw weight is what activities you plan on using the bow for. Practically any draw weight will work for target practice. A lighter weight might even be a better choice as it allows for accuracy without having to struggle to draw the bow. However, if you plan to use your bow for hunting, make sure you check the regulations in your state first as they will probably require a minimum weight. A riser is the center part of a bow that connects the limbs and has a grip for your hands. Risers for recurve bows are usually made out of either laminated wood, aluminum, or a combination of both. The riser is also the part of the bow which you would attach additions like an arrow rest or sight to. Risers are compatible with limbs of many different draw weights. The limbs are the upper and lower parts of the bow which connect to the riser in the middle. The string is connected to the ends of the limbs. The limbs of the bow vary in draw weight. The unique shape of recurve bow limbs, which curve back and away from the bow, add greater velocity to the arrow when fired. Limbs are usually composed of several different types of durable wood which is then laminated in fiberglass. Choosing the right recurve bow can be an intimidating task, especially since different bows serve different needs. Some bows are ideal for beginners or younger archers, while others are a better fit for target practice and archery competitions. Still other bows are better used for hunting. However, many of the bows on this list, especially those with a variety of draw weights, can be used for any of these activities. Whatever you are considering, I hope this article has provided you with useful information to help in your search!